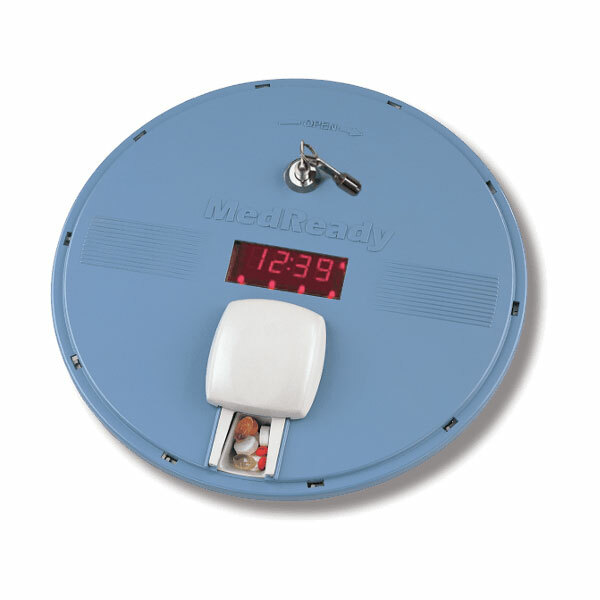 The MedReady MR-357FL Flashing Cellular Monitored Medication Pill Dispenser communicates via Cellular Networks to MedReady's servers. When medication is ready the unit will sound a buzzer to notify the patient that the medication is ready. Opening the medication door disables the alarm. No land line or internet connection is necessary at the Medication dispenser. 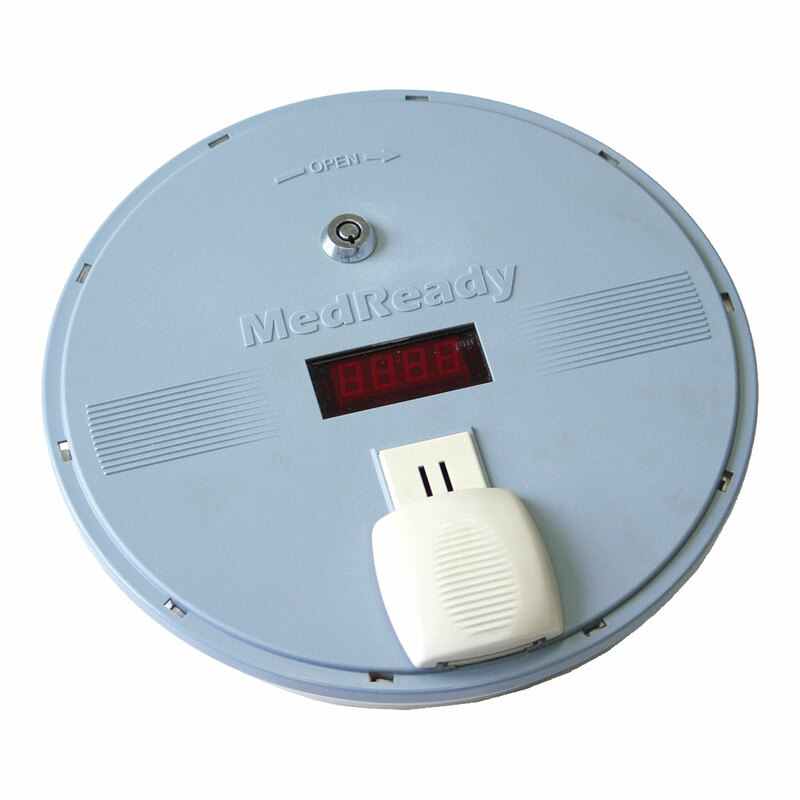 The user does not need a cell phone, MedReady uses its own Internal Cellular Device. All medication compliance events and device settings are sent real time via cellular networks. 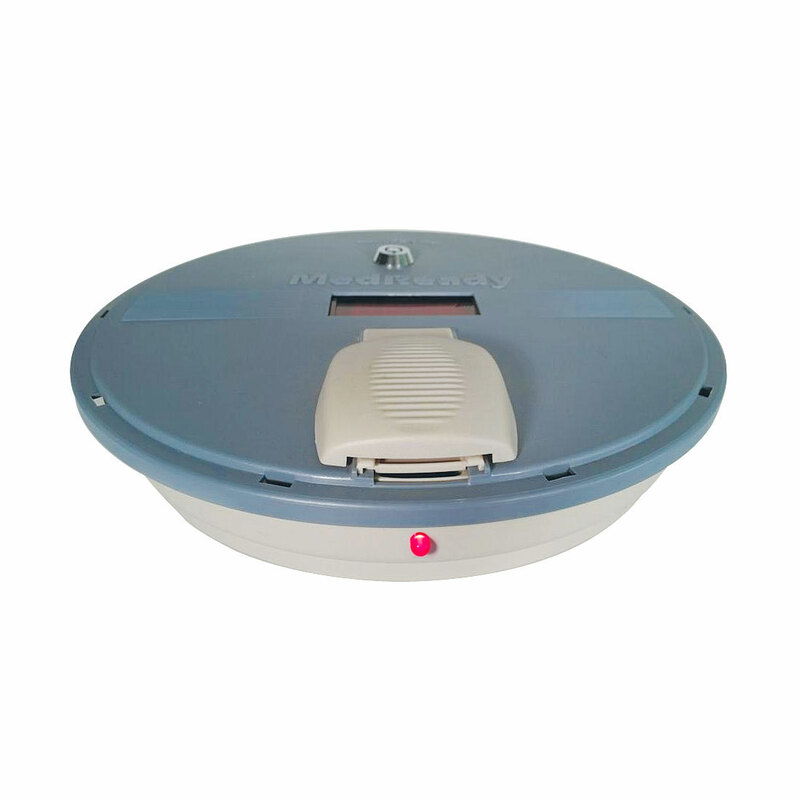 Remotely change alarm times, trigger early doses, and set all device settings from the comfort of your home, or smart phone. 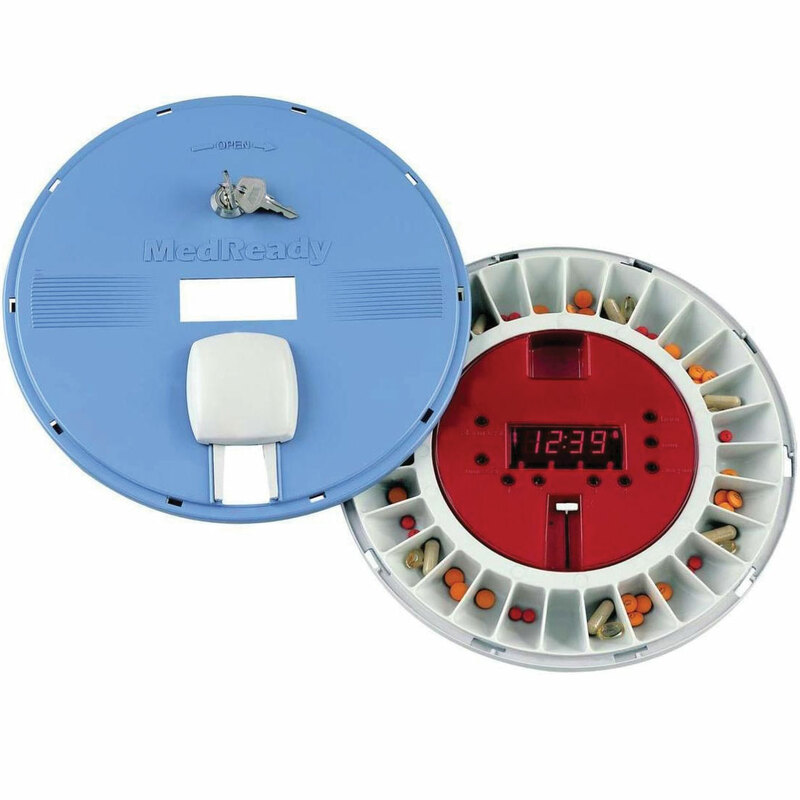 In the case of a medication non-compliance event the dispenser signals MedReady's servers and then our servers email, send text messages, and place automated phone calls to caregivers alerting them of the non-compliance event. The complete compliance log can be viewed via the compliance website. There is a small monthly monitoring fee. Please call MedReady at 310.328.7557 for more details. For our customers in countries other than the United States, our device will work for you too.